NGdoc partners with OOUTH to ensure insulin availability to children living with diabetes. Last year our co-founder launched an appeal to sponsor a child living with diabetes get essential medicine and consumables. 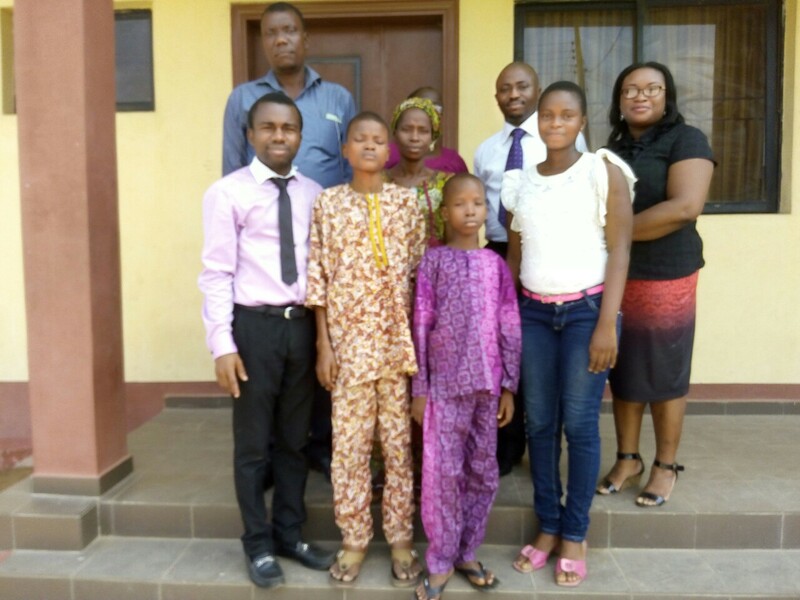 Thanks to our donors we were able to sponsor 5 children living with diabetes at the Olabisi Onabanjo University Teaching Hospital, Sagamu, Ogun State, Nigeria for the year 2018. With your help we were not just only able to sponsor these kids and ensuring steady supply of insulin throughout the year but we also have insulin dedicated to the children emergency, so no life will be lost as a result of inability to buy insulin at the Children Emergency Room. Steady strips were also made available to avail them the opportunity for continuous monitoring of their blood glucose. I was engaging my followers on the need for constructive methods of essential medicine financing when Pharmacist Bukola Fabiyi mentioned “Drug Revolving Funds” as a potent and strategic means of ensuring people do not die due to live saving medications like insulin. So i pleaded with her to submit an article about this which she did and i hope our readers can begin to task the government at local, state and federal level into making sure the right things are done towards ensuring essential medicines are made available, affordable and accessible to everyone irrespective of the social status. The Bamako Initiative (BI) was introduced by WHO/UNICEF in the late 1980’s to improve access to essential drugs for the most vulnerable in the society and thus improve the health outcomes (Chukwuani et al., 2006). Essential medicines, as defined by the World Health Organization (WHO), are the medicines that “satisfy the priority health care needs of the population”. These are the medications to which people should have access at all times in sufficient amounts. The DRF is a method of financing medicine in which, after an initial capital investment, drug supplies are replenished with monies collected from the sales of drugs according to the world health organization. It is an effective strategy for ensuring regular drug supply in the healthcare delivery system. Non-reimbursement of the cost of drugs for exempted patients. According to Gazelle News, May 14, 2013, it stated that 17 states went to understudy and adopt Ekiti’s unified DRF. A case study was also carried out and evaluated on the efficiency in the drug supply system in Kano state in 2013. Kano state was able to increase their procurement significantly from N133 million in 2008 to N1 billion in 2013 without additional financial support. This was managed and supported by key institutions. To ensure the success of DRF, quality medicines must be identified, the medicine must be affordable and the monitoring and evaluation of the DRF facility must be achieved in accordance to the set performance targets (Ogbonna and Nwako, 2016). The Central medical stores in Lagos was renovated in 2013 through funding from Non-Governmental Organisation and Federal Ministry of Health (NGO/FMOH). The Lagos state ministry of health has gone into collaboration with PATHS (Partnership for Transforming Health Systems) and private suppliers of medicines to enhance the operation of sustainable DRF system. Ogbonna, B. O., and Nwako, C. N. (2016) Essential Drug Revolving Fund Scheme in Nigeria, from the Edge of a Precipice towards Sustainability. Journal of Advances in medical and Pharmaceutical Sciences. Vol 8(2), Pp1-8. I had the opportunity of attending an advocacy program on the 22nd – 26th of August 2018. I went as a representative of my country Nigeria (The Nigeria Diabetes Online Community). The venue of the program was at the University of Ghana, Yiri lodge, Accra. The advocacy program was organized by the SONIA NABETA FOUNDATION, DIABETES YOUTH CARE and Sponsored by T1 INTERNATIONAL, there were also many invited advocates from different country. After this inspiring step and perfect explanation of what she meant, she gave every advocate an assignment to do in his/her country. It was the most orderly and systematic arrangement I have experienced. I learnt about ways of improving public awareness through diabetes education, because not all people that are diagnosed of diabetes accept the condition and the fact that they don’t accept means they are not willing to learn about diabetes. Also, I also learnt about diabetes advocacy aim which helps to raise public awareness round the world in terms of access to insulin, test strip, supporting people with diabetes, organizing diabetes resources and campaigning for world diabetes day. I learnt about the means of taking action to achieve a specific change in policy practice that could benefit people with diabetes based on good advocacy. I learnt about speaking on what is important to us, by ensuring that voices of people living with diabetes are heard and by making a difference, standing up for our health right. It is a way of fighting for long term change so more people can have a better life with diabetes. In numerous ways, I benefited from the experience. First, it paved way for me to know how my goal could be achieved based on advocacy’s key message. Second, the lecture enables me find a remedy to any advocacy issue I may encounter. Finally, the experience I had was that I was able to gather a first – hand information on how my goal could be easily achieved. My action plan is to organize a diabetes education program at school in November period, giving them information on what diabetes entails, because misconception about diabetes is one of the health challenges we face in our community and this brings about mismanagement of diabetes. “EDUCATION IS KEY”. My goal is to make sure students are able to understand the facts and initiative about diabetes. A Bad Case is an original comedy series about four friends and what happens when diabetes shows up at the worst possible moment. It is a message of hope to the world. It’s comedy about when diabetes goes all wrong and easily relatable. Hollywood has consistently gotten our story wrong. 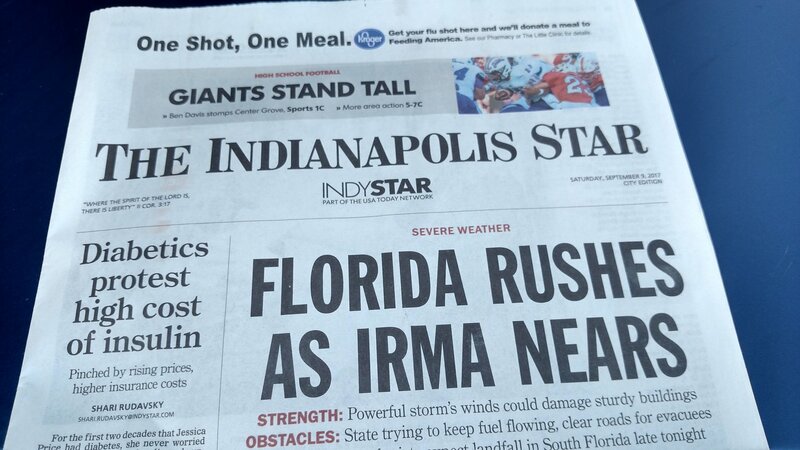 They have used diabetes as a handy plot tool to raise the stakes for a story. From minor mistakes to huge blunders, they are sharing an inaccurate story of what it means to live with diabetes. It is time to change that narrative. It is time to have our stories told accurately and in depth. A Bad Case is the story of four friends who handle their diabetes very differently. There is a good chance you will see yourself in at least one of the characters on screen. For the first time, a viewer might be able to relate to someone just like her, who has the same outlook or quirks, who has developed the same strategies for dealing. Knowing how crucial a positive outlook is on doing a good job of taking care of diabetes, a series that focuses on diabetes and humor could have an incredible impact on those who are struggling with the difficulty of this condition. Personally, the only way I can deal with such a long-term and difficult situation is to find the humor, even if it is a sort of gallows humor. When we can come to a point of laughing at the absurd difficulty, we gain perspective and a renewed sense of strength to keep on fighting. I want to produce this series to explore a new medium for pursuing the same mission I have always had when it comes to interacting with the diabetes community; to empower people to take amazing care of their diabetes. As Rainbow Specialist Medical Centre celebrates her anniversary, they’ve organized a training for health workers on skills in diabetes care as well as free foot checks for patients living with diabetes. This would be during the 5th Annual Diabetes Foot and Podiatry Workshop organized at Dover Hotel, Lekki. Medical Director of the centre and coordinator of the Diabetes Podiatry Initiative Nigeria (DPIN), Dr. Afoke Isiavwe, in a statement, said the workshop, the 5th edition, is being organised to address the high rate of amputation among Nigerians living with diabetes, which has been reported to be as high as 53.2 per cent of the number of people with foot ulcer in some centres. This makes diabetes foot the most common cause of non-traumatic amputation in the lower extremities in Nigeria and elsewhere in the world. International training faculty from the World Walk Foundation, Jamaican Chapter, will conduct the 2018 edition of the workshop, according to the release. The focus of the training would be on primary health care workers as they are the first point of call in diabetes care. “It is important to equip these group of healthcare workers with necessary skills in these two common conditions to detect initiate correct treatment and also know when to refer patients for further care,” the release further said. BBC presenter apologises for ‘confused start’ due to hypoglycemia on air. A BBC World service presenter, Alex Ritson was presenting at about 5 am in the Newsroom on Friday when his listeners heard him stumble on some of his words. The presenter ,who has Type 1 diabetes has apologized for a “confused start” saying he had a “low sugar attack” just as he went on air. So many listeners have commended him for that. While so many of us think diabetes is just a problem of high blood sugar, it really is a struggle between high sugar levels and low sugar levels that result from insulin use. The patient is basically struggling to find a balance. Hypoglycemia (low blood sugar) occurs in people with diabetes when their blood sugar goes beneath 4mmol/l (70mg/dl) but the value varies for most people. In more severe cases, there can be confusion, unconsciousness and even death. The major problem with type 1 diabetes is that the body produces antibodies that attack the body’s healthy islet cells in the pancreas which produces insulin. This limits insulin production making the body the body unable to make use of glucose gotten from diet leading to high blood sugar. The patient then has to makes rely on insulin injections or pumps to survive. 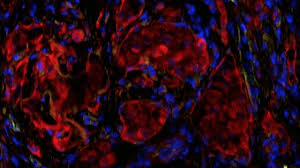 Before now, several research works have being aimed at transplanting islet cells from deceased donors into the liver but this has not been ideal The liver can only take few islet cells and with risk of bleeding. Recently, researchers at the University of Miami Diabetes Research Institute have tried another location – the omentum, a fatty membrane in the belly. A 43 year old single mother with a 25 year history of type 1 diabetes has been off insulin for over a year following islet cell transplant in the omentum. Before the transplant, she was said to have been on about 33 units of insulin per day. No surgical complications were observed during the procedure. “The cells began producing insulin faster than expected, and after one year she is doing well and doesn’t need insulin injections”. Dr. David Baidal, assistant professor in the University of Miami Research Institute who led the study said. The research is the first step towards developing a mini organ called BioHub. The BioHub would be like a home to the islet cells providing it with blood supply and nutrition, making it easier to remove in cases of complications. The researchers plan to test the use of omentum as a site in 5 new patients. “Her quality of life was severely impacted. She had to move in with her parents. And, if she traveled, she had to travel with her father”. This is indeed good news. This is a step in the positive direction for about 422 million people worldwide living diabetes. It would also markedly save cost for insulin in the long term. More information of this ground breaking research headed by Dr David A. Baidal can be seen in the New England Journal of Medicine. When Frederick Banting discovered Insulin in 1922, he never thought it’s prices would be as high as what is obtainable today. Insulin is a vital drug that is needed for people living with diabetes to survive but the increasing prices have caused people to ration insulin doses and skip injections causing poor control of their blood sugar. 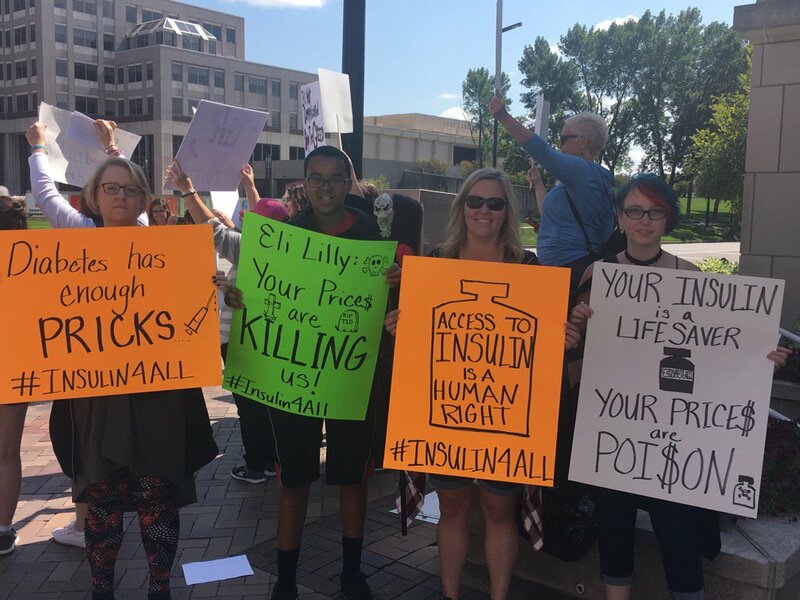 On Saturday, 9th of September, 2017, T1International, an advocacy group for people living with type 1 diabetes around the world and People of Faith for Access to Medicines (PFAM) along with other stakeholders led a demonstration in front of Eli Lilly and Company International corporate headquarters in downtown Indianapolis. The day for online action was September 8th, 2017. “We spend more money on diabetes than on our house payments,” Indiana resident Erin Roberts said. 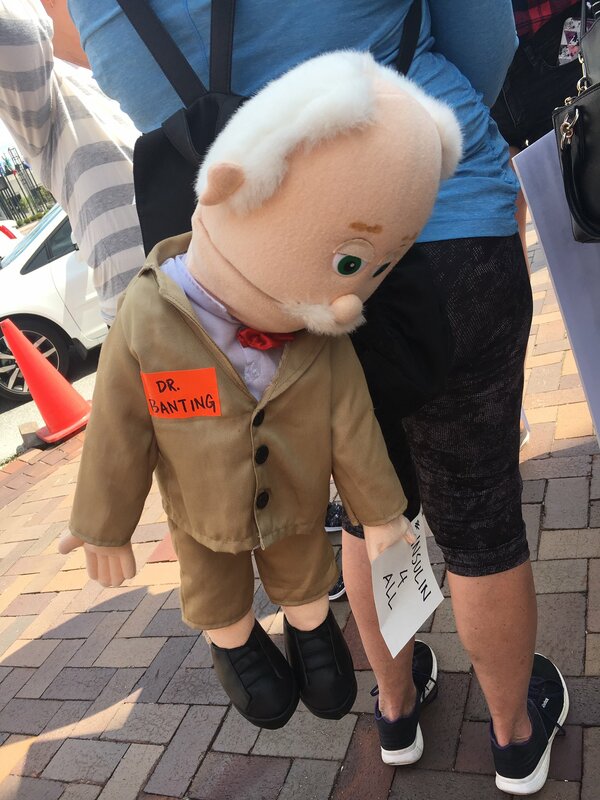 Mike Hoskins who was at the protest said on his blog that he was spending $700 per month to get 3 vials of insulin in 2015 and that was more than half of housing cost per month and he had to borrow from a friend. Consumers of these products are frustrated and have come out in mass to express their feelings. Parents of children living with diabetes and other concerned persons participated in the protest. Some people lamented that they have to pick between buying their groceries and buying insulin. Some protesters at the demonstration. 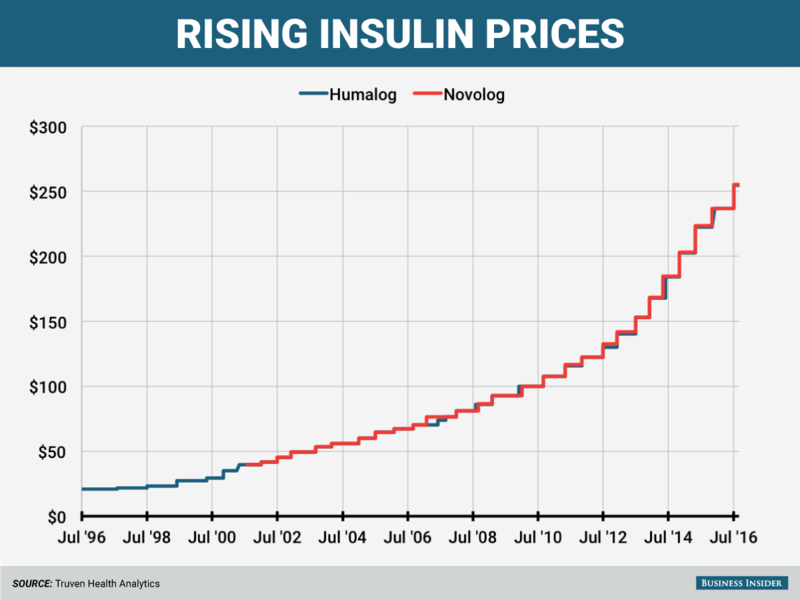 The 3 main pharmaceutical companies producing insulin are Eli Lilly, Novo Nordisk, and Sanofi and they’ve continually increased the prices of insulin. March 2017 saw another increase of Eli Lilly’s insulin product ; Humalog and Humilin by 7.8 percent. Lilly is said to have raised the price of its version of insulin by over 300% over the past seven years. A U.S. patient’s out-of-pocket cost for a month’s supply of Eli Lilly’s Humalog can be over $400 (About 144,000 Naira). In July 2017 it was reported that Lilly had a 35% increase in quarterly profits: $1+ billion, on $5.82 billion revenue. Though Eli Lilly recently started a patients assistance program when people complained about the costs, it is still grossly inadequate as only a small number of people would benefit. Humalog has seen a 1123 percent increase in price since June 1996. The insulin makers have also argued that its costs a great deal for advancements to produce new and better insulin. So many people are dying from diabetic ketoacidosis because they can’t afford insulin. For a long time, Africa was thought to be safe from diseases called “diseases of affluence,” like diabetes which plague the Western world but this is now known to be false as there is an increasing statistic of people living with diabetes and this includes both rich and poor. As at 2013, the Nigerian government was reportedly spending $500 million (78.5 million Naira at that time) on importation of insulin annually. Insulin access is still a major problem in developing countries too. You can still lend a voice to the cause via social media. 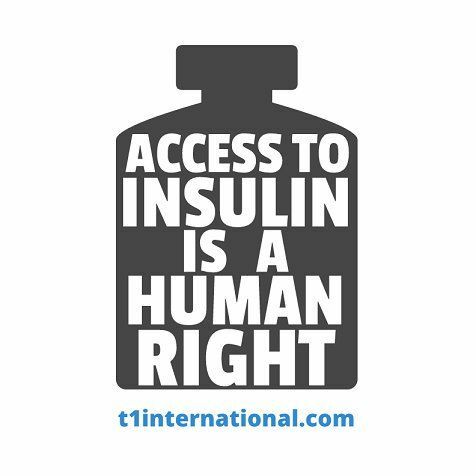 Hashtag is #Insulin4all . You can get more information on Facebook and other social media sites. How to improve the awareness about Diabetes Early Detection and Prevention in your country. How to encourage your society, scientific community, local authorities, media and relevant stakeholders to Think and Act on Diabetes Every Day. Your ideas of developing new policies, strategies, social media campaigns and more. “Postgraduate Diabetes Diploma with University of South Wales. Winners will be invited to attend the Merck Africa Luminary on 24th-25th October, 2017 in Cairo, Egypt to receive the award”. Merck Diabetes Award is being rolled out in many of the African and Asian universities as part of our commitment to building diabetes capacity and improving access to quality and sustainable healthcare solutions in developing countries. The aim of Merck Diabetes Award is to create a Diabetes Experts Platform across the globe. Health professionals, both UK and overseas, with an honors degree or equivalent (including international qualifications) are eligible to apply for the PG Diploma Diabetes course online. Non graduates are also encouraged to apply (applicants will be asked to submit a piece of work for assessment to confirm that they are able to work comfortably at degree level). Merck Hypertension Award is being rolled out in many of the African and Asian universities as part of our commitment to building healthcare capacity and improving access to quality and sustainable healthcare solutions in developing countries. The aim of Merck Hypertension Award is to create a Hypertension Experts Platform across the globe. To raise the required awareness to control and prevent hypertension, countries need systems, policies and services in place to promote universal health coverage and support healthy lifestyles: eating a balanced diet, reducing salt intake, avoiding harmful use of alcohol, getting regular exercise and stopping the use of tobacco. How to improve the awareness about hypertension control and prevention in your country. “Postgraduate Diploma in Preventive Cardiovascular Medicine with University of South Wales. Winners will be invited to attend the Merck Africa Luminary on 24th-25th October 2017 in Cairo, Egypt to receive the award”. 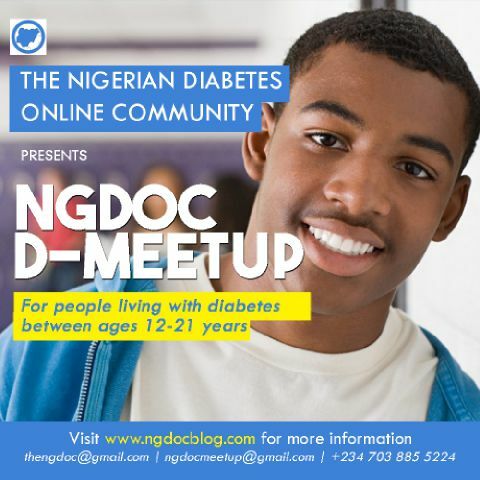 The Nigeria Diabetes Online Community is organizing a D-Meetup for Children living with diabetes in Nigeria. The aim of the D-Meetup aims to create an amazing experience for children living with diabetes in a medically safe environment and will run over a weekend. The activities will centre around children living with diabetes between the ages of 12 – 21 years to meet and share their experiences with one another as they learn to take responsibility for their health status and also to create in them a “I can do it” attitude as they improve on their self-esteem. This meetup will include meeting with People living with Diabetes Globally, Nutritionist, Paediatric endocrinologist; Tourism; Games; Dinner amongst others. It also will foster their physical activities and more controlled access to food relative to their experience at home while monitoring a good glycemic control. Do you know any child living with diabetes within the age of 12 – 21 years kindly encourage them to fill the form to participate. Are you interested in sponsoring this event or volunteering your time and talent to make this event a success? Kindly fill this form. Subscribe to get latest updates from us.